Note that the effects here of Coca and dilute cocaine stand in contrast to that of CONCENTRATED cocaine which has the opposite effect. WASHINGTON, DC, March 28, 2013 — Lanny A. Breuer, most recently the Assistant Attorney General for the Criminal Division at the U.S. Department of Justice, is returning to Covington & Burling as Vice Chair of the firm. Mr. Breuer’s practice will encompass a wide range of civil and criminal litigation matters, as well as governmental and internal investigations. As Covington’s Vice Chair, Mr. Breuer will work closely with senior leadership to implement the firm’s long-term strategy, with a particular focus on the firm’s international initiatives and practices. Mr. Breuer rejoins the firm after four years at the Justice Department. As one of the longest-serving Criminal Division chiefs in history, Mr. Breuer oversaw nearly 600 lawyers and established himself as a national leader on a range of federal law enforcement priorities, including on such matters as the Foreign Corrupt Practices Act, health care fraud, money laundering, financial fraud, cybercrime, intellectual property theft, and public corruption. The National Law Journal named Mr. Breuer this week one of the 100 Most Influential Lawyers in the nation, and he was recently ranked sixth on Ethisphere’s list of the 100 Most Influential People in Business Ethics internationally. At the Justice Department, Mr. Breuer increased enforcement of the FCPA, overseeing more than 40 corporate resolutions and eight of the top 10 largest penalties in U.S. history. The Criminal Division secured convictions of more than three dozen individuals on overseas corruption-related offenses, a department record. And he collaborated with the Securities and Exchange Commission to publish critical guidance on the government’s anti-corruption enforcement efforts. Mr. Breuer also developed an innovative program known as the Kleptocracy Asset Recovery Initiative, a program that identified and forced the forfeiture of proceeds from foreign official corruption. In addition, Mr. Breuer oversaw the investigation concerning the London Interbank Offered Rate and launched the Justice Department’s Money Laundering and Bank Integrity Unit. On his watch, the unit secured approximately $3.1 billion in criminal forfeitures from major financial institutions. Mr. Breuer also led the largest traditional organized crime prosecution and the two largest Medicare fraud cases in U.S. history. And he oversaw the prosecution of the owners of an international data storage website for allegedly committing intellectual property infringement, one of the largest criminal copyright cases ever brought by the United States. John Hall, Chair of the firm’s Global Litigation Practice, noted that when Mr. Breuer left Covington to head the Criminal Division in 2009, he had already established himself as one of the pre-eminent trial lawyers and white collar defense practitioners in the nation. “It is a privilege to welcome Lanny back to Covington, where his talents, energy, creativity, and wisdom will be tremendous assets to clients navigating corporate crises, anti-corruption investigations and other issues,” Mr. Hall said. Mr. Breuer will practice alongside colleagues with strong federal and international enforcement backgrounds such as: Robert Amaee, the former Head of Anti-Corruption and Head of Proceeds of Crime at the UK Serious Fraud Office; Bruce Baird, former Chief of the Securities and Commodities Fraud Task Force in the U.S. Attorney’s Office for the Southern District of New York; Tom Barnett and Deborah Garza, both a former Assistant Attorney General in charge of the Antitrust Division; Michael Chertoff, himself a former Assistant Attorney General for the Criminal Division before becoming Secretary for Homeland Security; Steve Fagell, former Deputy Chief of Staff and Counselor in the Criminal Division; Jim Garland, former Deputy Chief of Staff and Counselor to Attorney General Eric Holder; Haywood Gilliam, former Chief of the Securities Fraud Section in the U.S. Attorney’s Office for the Northern District of California; Nancy Kestenbaum, former Chief of the General Crimes Unit in the U.S. Attorney’s Office for the Southern District of New York; Lynn Neils, former Chief of the Major Crimes Unit in the U.S. Attorney's Office for the Southern District of New York; Ethan Posner and Jean Veta, both former Deputy Associate Attorneys General; Alan Vinegrad, former U.S. Attorney for the Eastern District of New York; and numerous other former federal prosecutors and enforcement officials, including Stephen Anthony, David Bayless, Casey Cooper, Geoffrey Hobart, David Kornblau, and Simone Ross. In January 2012, Law360 named Covington’s white collar practice as one of five "White Collar Practice Groups of the Year." Mr. Breuer began his legal career in 1985 as an Assistant District Attorney in Manhattan, where he prosecuted violent crime, such as armed robbery and gang violence, white collar crime, and other offenses. In 1989, he joined Covington, where he worked until 1997, when he joined the White House Counsel’s Office as Special Counsel to President William Jefferson Clinton. As Special Counsel, Mr. Breuer assisted in defending President Clinton in the Senate impeachment trial and handled a wide array of congressional investigations. Mr. Breuer returned to Covington in 1999 as Co-Chair of the White Collar Defense and Investigations practice group, where he specialized in white collar criminal defense and complex civil litigation and represented individuals and corporations in matters involving significant legal and reputational risks. He was also Vice-Chair of the firm’s Public Service Committee. 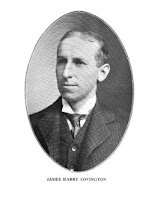 At Covington, Mr. Breuer developed a reputation as one of the top defense lawyers in the country. He has been recognized as a leading litigator by numerous publications, including American Lawyer (“45 Under 45”), Chambers USA, The Best Lawyers in America, Guide to the World’s Leading White Collar Crime Lawyers, National Law Journal (Visionary), and Washingtonian. He is a Fellow of the American College of Trial Lawyers, a Barrister of the Edward Bennett Williams Inn of Court, and a member of the American Law Institute. Mr. Breuer received his undergraduate degree from Columbia College and his law degree from Columbia Law School. ML- Douglas Andrew, many thanks for illuminating my perspective on the evil nature of the “war on drugs”. You gave forth a more multidimensional approach and understanding of the war on drugs. One revealing it as a far worse problematic waste of money that’s tremendously under-appreciated. The ‘drug war’ really is not the great failure the academia’s have made it out to be. Rather it has been a great success --an on-going mega-boondoggle for protecting the more dangerous substances, namely cigarettes and prescription pharmaceuticals, from the competition, with horrible side effects, creating “crimes” out of voluntary exchanges burdening the police/prosecutors/courts/incarceration, while encouraging such via the artificially inflated drug prices, if not perverting the safer substances, making them less safe and far more dangerous. The “war on drugs” is not some well meaning endeavor to protect the public’s health, but rather a lie as something amoral fraudulently passed off as somehow “moral”. 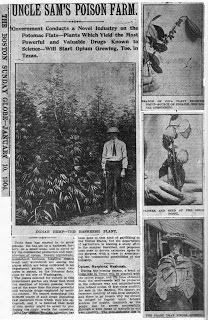 And as we have an upcoming centennial of the Harrison ‘Narcotics’ Act in 2014- I say, let’s end this nonsense that was all the more hyped by successive U.S. Presidents- ultimately with the Controlled Substances Act, pushed by 37th U.S. President Richard Nixon, in his speech of June 1971 declaring this maniacal ‘war on drugs’. We are coming upon a century anniversary of this horrible war, and have the opportunity to at least correct things for the future. For God’s sake, let’s do it by 2014- and end this maniacal ‘war on drugs’. DA- Indeed, ‘ML’ Marialuisa Sabina. Just do the math, say one year at a time. Starting with the annual economic and social costs of this fallacious ‘war on drugs’; the direct costs that drug policy ‘reform’ organizations already discuss. Arrests; prosecutions; incarcerations = x. Minus any monetary fines = x - y. And plus the costs of the ‘drug treatment’ programs, including those with some legitimacy – aka abuse of ‘hard’ re- concentrated drugs – and those far more dubious on the face- aka those for Marijuana (Cannabis) consumers almost always ordered by courts as the result of the calls for ‘treatment’ over punishment. Never-mind of course the intrinsic absurdity of declaring such consumers as somehow ‘diseased’ for choosing something safer than alcohol, let alone Tobacco. This war on drugs is a hidden elephant in the living room of polite and obvious conversations regarding what comes out of Washington, D.C. It’s a mega on-going boondoggle with a surprisingly little regard for its full range of costs. ML- Indeed, let alone alcohol and Tobacco- especially the latter. We had this growing confusion regarding “drugs” meaning what was made illegal by Congress. DA- And then the public of course goes with what’s available, or otherwise said, with thought going increasingly upon auto-pilot. 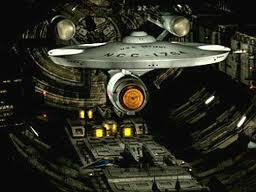 ML- As steered. And spooked. So we’re not going to see illicit markets produce safer forms. Just look at the statutes with their blurring of the whole plant drug commodities. DA- And we get these people who say do NOT talk about anything beyond Marijuana. Do not talk about the cocaine issue- it’s too confusing for many to understand. Like some string from somewhere pulling upon Ira Glasser. And/or Ethan Nadelman who appears with me in that December 18, 1992 City Paper photo. Any educational institution producing whatever person giving such nonsensical crappy advice should be ashamed. And worthy of ridicule. To perpetuate this sick mercantilism. ML- Indeed. It’s the idea deified in 1914 by the Harrison ‘Narcotics’ tax Act. "... opium or coca leaves or any compound, manufacture, salt, derivative, or preparation thereof, shall register with the collector of internal … "
"opium or coca leaves or any compound, manufacture, salt, derivative, or preparation thereof,” meant blurring together everything from the natural plants to the most concentrated refined derivatives possible. And in today’s U.S. Controlled Substances Act. b) “Cannabis” means the flowering or fruiting tops of the cannabis plant (excluding the seeds and leaves when not accompanied by the tops) from which the resin has not been extracted, by whatever name they may be designated. d) “Cannabis resin” means the separated resin, whether crude or purified, obtained from the cannabis plant. e) “Coca bush” means the plant of any species of the genus Erythroxylon. f) “Coca leaf” means the leaf of the coca bush except a leaf from which all ecgonine, cocaine and any other ecgonine alkaloids have been removed. Raw Coca leaves which are about 0.5% cocaine as illegal as 100% pure cocaine. Likewise with raw Opium and morphine and ultimately heroin. This helps guarantee the unavailability of the safer substances and their de facto replacement with the far more dangerous forms. What should a nation expect that steers matters so poorly- and do nothing to rectify? Nothing written. No effort or indication. Especially with the lying to itself, and to others. They don’t want to talk about the addiction to making problems out of plants. Of the ‘NIDA’ model of simply defining substances as Cannabis as “drugs of abuse” a quackery to get people to forget that it is not only safer than alcohol but its many immensely valuable applications- including treating the cancers, many being caused by smoking the protected cigarettes. Under this ‘war on drugs’ Coca – cocaine are equally illegal, a prohibition precipitating the situation prior to the black market development of crack cocaine – basically cocaine sulfate rather than cocaine hci (hence eliminating the leaf and any bulky Coca products, while favoring the highly concentrated) and hence infinitely more dangerous forms of cocaine. This is the point that Richard Cowan made way back in December 1986 in National Review. Second, from the demand perspective, the more potent forms of drugs offer the user the same convenience of transportation that is of value to the supplier. However, while it is impossible to overdose fatally on the marijuana derivatives, precise dosage is at once more critical and more difficult to achieve with any synthetic or concentrate like crack. This leads us to an essential point. Though the anti-drug crusaders, their self-righteousness, may imagine that most drug users are irrational and self-destructive, the reality is that most of them are People Like Us. Some drinkers drink to destroy themselves; the vast majority prefer to drink safely and happily and therefore moderate their drinking. The majority of recreational drug users would prefer to do the same. Normal people have good instincts for self-preservation. Thus, without much pressure from the government, we have seen in recent years a powerful trend toward weaker versions of legal drugs, wine coolers in place of distilled spirits, filtered cigarettes low in tar and nicotine, even decaffeinated coffee and tea. To be sure, drunk-driving laws may have accelerated the trend; but, whatever their imperfections, the laws against drunk driving are far more rational than the drug laws in that they outlaw not substances but obviously reckless behavior. Just because drunk-driving laws are fairly rational, there is less rebellion against them. On the whole, the trend toward safer dosages of legal drugs gives massive testimony to the rationality of normal people. From these statutes, one could infer “logically” that Opium, Opiates, Cannabis, Coca leaves and the cocaine alkaloid regardless of strength were more ‘dangerous’ than Coffee-caffeine, Tobacco-nicotine. 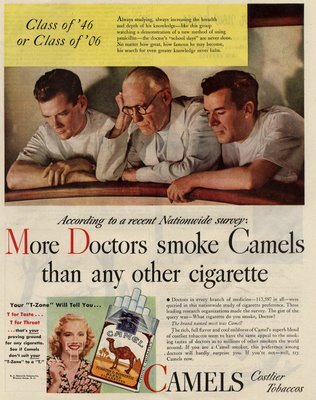 That they were more toxic, more ‘addictive’, more some other negative factoid? Coffee. Other things containing caffeine. Nicotine delivery products, patches, gums and e-cigarettes, and of course Tobacco products. Contraband powder cocaine and crack. And of course concentrated caffeine and nicotine available from chemical supply sources. This had nothing to do with healthiness or safety-dangerousness, belied by its charge against ‘habit-forming’ substances, especially things as Coca sold as a Tobacco Habit Cure, as a protectionist scheme against competitors to things established, particularly Tobacco. Look what happened. 100 million deaths from the market distortion. Ban the safer substances of Coca leaves, Opium and Cannabis, replacing with pharma and protecting Tobacco cigarettes. It all fits. 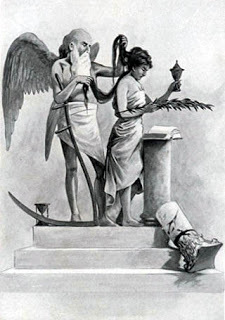 ‘Lady’ liberty of the congress fouled up, swallowed both legs, within that Basilica of Cornstalks and Tobacco leaves amidst columns topped with representations of the deadly Virginia Bright Leaf with that 1914 Harrison Act. And by not requiring science nor truth from legislatures, the judiciary did the same. DA- Other portions of those hearing included testimony about Tobacco adulterated with lead via the packaging. ML- Yet Covington as a judge, went on to later UPHOLD the Harrison ‘Narcotics’ Act, particularly the idea of deferring to bureaucratic empowerment to define reality. That would cement in this grievously perverted stimulant drug market- a decision with thus severe consequences of the ‘war on drugs’ market perversion directly, as well as indirectly via the cigarette market protection. And then go on to form Covington & Burling. 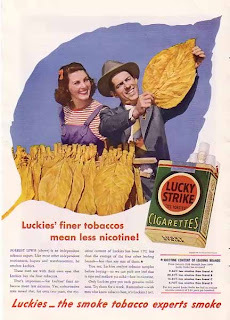 Which becomes perhaps the #1 law firm for the Tobacco-cigarette industry, coordinating their strategies, perhaps being the ones advising them on the labeling policy devoted to information people ALREADY KNOW (that cigs are dangerous to health- as a legal disclaimer), but not what they don’t (the additives and pesticide residues). Totally subverted freedom of medicine and diet, and people’s health for a criminal agricultural mercantilism scheme. ML- That lays it on the line. Too much of an overly maniacal competitive attitude. One with stupid short-cuts that actually subvert- not very nice. Its an excellent reminder of how nations go astray. It was not about banning certain drugs out of any truly legitimate concerns of people’s health nor about ‘addiction’ asides from controlling markets. And as it is about the perversion of illicit drugs into more dangerous forms, it is largely about the denial of their benefits in forms made unavailable by prohibition. Consider the lost productivity from the denial of the proper forms of ‘doing cocaine’. People getting paranoid and geeky, rather than a useful effect for useful accomplishment. DA- I can personally attest to that with my Mom bringing me some Coca extract candies purchased at an airport in Peru: identical in appearance to the Coca candy available via the internet, but infinitely more useful. Though these internet candies had some cocaine effect, definitely making one show positive for a cocaine drug test, the Peruvian airport candies were infinitely more useful. Though giving only a mild and stable cocaine related euphoria, totally not of the anti-social doses encountered by Freud’s cocaine experimentation and abuse, the Peruvian airport candies enable me to ask my Dad “you want me to get started with moving that used furniture to the upstairs?” Yet when has any drug policy reform organization even mentioned that? ML- And, though they ignore Coca, they already know that they were protecting cigarettes and the hidden motive of the impending Panama Canal, and how that would significantly shorten the Coca shipping supply lines from the western shore of South America to North Atlantic markets. As anyone should be able to decipher from your blogs, from “Continuing Counter Reformation”, and “A Trip Within the Beltway”, you understand the importance of good transportation infrastructure. Work on the canal, which began in 1881, was completed in 1914, making it no longer necessary for ships to sail the lengthy Cape Horn route around the southernmost tip of South America (via the Drake Passage) or to navigate the dangerous waters of the Strait of Magellan. One of the largest and most difficult engineering projects ever undertaken, the Panama Canal shortcut made it possible for ships to travel between the Atlantic and Pacific Oceans in half the time previously required. The shorter, faster, safer route to the U.S. West Coast and to nations in and along the Pacific Ocean allowed those places to become more integrated with the world economy. In 1881, the first attempt to construct a sea-level canal began under the leadership of Ferdinand de Lesseps, builder of the Suez Canal, with substantial financing and support from Paris. The French effort went bankrupt after losing an estimated 22,000 lives and reportedly spending US$287,000,000, and was largely abandoned by 1890. The Suez Canal was built in a much more benign environment but still took 10 years to complete its 102-mile length, about twice that of the Panama Canal. Under de Lesseps' control, construction began on a sea-level (i.e., without locks) canal through what was then Colombia's province of Panama, on January 1, 1881. The French rushed to begin work, with insufficient prior study of the geology and hydrology of the region. Excavation was conducted at such a steep angle that, in some years, rain-induced landslides poured nearly as much material into the canal as had been removed. On January 22, 1903, the Hay-Herran Treaty was signed by United States Secretary of State John M. Hay and Dr. Tomás Herrán of Colombia. It would have granted the United States a renewable lease in perpetuity from Colombia on the land proposed for the canal. This is often misinterpreted[who?] as the "99-year lease" because of misleading wording included in article 22 of the agreement. That wording refers to property within the purchased area, but does not pertain to control of the canal or the right of the United States to renew its lease indefinitely. The treaty was ratified by the U.S. Senate on March 14, 1903, but the Senate of Colombia did not ratify it. 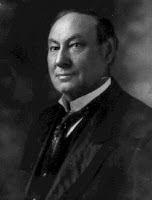 Phillipe Bunau-Varilla, chief engineer and significant shareholder of the French canal company, told U.S. President Theodore Roosevelt and Hay of a possible revolt, and hoped that the United States would support Panamanian rebels who aimed to separate from Colombia by providing U.S. troops and money. Roosevelt changed tactics, promising support for the separation of Panama from Colombia. On November 2, 1903, U.S. warships blocked sea lanes for possible Colombian troop movements en route to put down the rebellion. Dense jungles blocked Colombia's land routes. Reportedly, extensive bribes were paid to get the few Colombian troops stationed in Panama to lay down their arms. 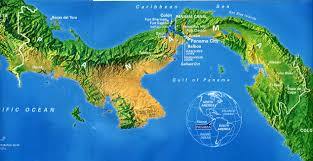 Panama declared independence the next day, November 3, 1903. 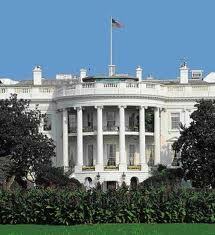 The United States quickly recognized the new nation. On November 6, 1903, Phillipe Bunau-Varilla, Panama's ambassador to the United States, signed the Hay–Bunau-Varilla Treaty, granting rights to the United States to build and indefinitely administer the Panama Canal Zone and its defenses. Although Bunau-Varilla was serving as Panama's ambassador, he was a French citizen and not officially authorized to sign treaties on behalf of Panama without Panamanian review. This would later become a contentious diplomatic issue between Panama and the United States. In 1904, the United States, under President Theodore Roosevelt, bought the French equipment and excavations for US $40 million, paid the new country of Panama US $10 million plus more each year, and began work on the Panama Canal on May 4. (In 1921, the United States paid Colombia US $10 million, plus US $250,000 per annum for several years; in return, Colombia recognized Panama under the terms of the Thomson-Urrutia Treaty). The U.S. purchase of the French concession for US $40 million included the Panama Railroad. Further, it was estimated that French excavation of about 30,000,000 cu yd (23,000,000 m3), primarily in the Gaillard Cut (then called the Culebra Cut), was of direct use to the U.S. construction effort and was valued at about $1.00 per 1 cu yd (1 m3), or $30,000,000. The remaining usable French equipment, engineering surveys, etc., were valued at about $10,000,000 more. 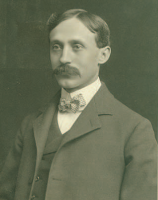 On May 6, 1904, President Theodore Roosevelt appointed John Findlay Wallace, formerly chief engineer and finally general manager of the Illinois Central Railroad, chief engineer of the Panama Canal Project. Overwhelmed by the disease-plagued country and forced to used often dilapidated French infrastructure and equipment as well as being frustrated by the overly bureaucratic ICC, Wallace resigned abruptly in June 1905. John Frank Stevens, a self-educated engineer who had built the Great Northern Railroad, and chief engineer of the Panama Canal from 1905 to 1907, successfully argued the case against the sea-level canal, such as the French had attempted. He convinced Roosevelt of the necessity and feasibility of a canal built with large dam and lake system with three double sets of locks to raise ships to the level of the reservoir and then lower them in locks at the other ocean. The building of the canal was completed in 1914, 401 years after Panama was first crossed by Vasco Núñez de Balboa. One of several new innovations was the four to eight electrical-powered "mule engines" on each side of the locks that were attached to each ship to stabilize their passage through the locks as they were guided through by canal pilots. In the end, the engineers and workers minimized the mosquito threat; moved, rebuilt, and expanded the Panama Railroad; excavated over 200,000,000 cu yd (150,000,000 m3) of earth; built the world's largest (then) dam and a lake; poured about 2,000,000 cu yd (1,500,000 m3) of concrete creating a spillway at Gatun Lake to control its height; and formed three sets of double 110 feet (34 m) by 1,000 ft (300 m) ship's locks, then the largest concrete pour in the world. This was supported by an extensive buildup of U.S.-built, then-modern, heavy-duty excavation and construction equipment, and one of the world's earliest and most extensive electrical systems, used to power and control the flow of water into the locks and spillway. The United States spent almost $375,000,000 (roughly equivalent to $8,600,000,000 now), including $12,000,000 to build facilities used to guard the canal, to finish the project. This was by far the largest American engineering project of that or any previous era. The canal was formally opened on August 15, 1914, with the passage of the cargo ship SS Ancon. Coincidentally, this was also the same month that fighting in World War I began in Europe. The advances in hygiene resulted in a relatively low death toll during the American construction; still, about 5,600 workers died during this period (1904–14), bringing the total death toll for the construction of the canal to around 27,500. DA- The U.S. took control of the Panama Canal Project by 1904- the year that officials within the U.S., namely of the U.S.D.A. and the AMA, APhA began targeting Coca. The 1906 Food and Drugs Act did not ban coca, though included cocaine in a list of ingredients that had to be labeled, not including caffeine or nicotine, setting a false sense of justice. For while the act neither banned coca or cocaine, and did not even mention the former, it was the effective tool to start the sweep towards the maniacal prohibition we ended up with by 1914. The act allowed prosecutions by the U.S.D.A. Yes, that was the charging agency; one intrinsically biased against competitors to U.S. produced agriculture, and at a time that the U.S.D.A. had just explored the uses of such plants as Peruvian Coca. Prosecutions against manufacturers of “adulterated” and “misbranded” products. And with the U.S.D.A.’s Bureau of Chemistry to bring prosecutions simply upon defining substances as “dangerous” to health, and thus could be so administratively banned, if the product was sold as a food. So, if a manufacturer remained brave enough, they could label it as containing cocaine – whether isolated or as a natural component of a Coca extract – and still risk U.S.D.A. prosecution for containing a supposedly containing a “dangerous” substance. Though the U.S.D.A’.s Harvey Wiley may have seemed foolish for bringing a U.S.D.A. prosecution of Coca-Cola for containing caffeine (which Wiley alleged was “dangerous” and was anyway not required to be labeled), it was actually sinister, achieving a reign of terror, to remove cocaine from its safest and overwhelmingly most popular mode of use, and flipping that into the perversity to come, for the sake of a larger political geo-political chessboard. Of course a product could still be sold as a drug, and thus the following years brought a subsequent political push to extend any such ban via mandatory prescription requirements. The Panama Canal project was completed and open to traffic by 1914, the same year the U.S. Congress discussion of the impending ban and its consequences of the then proposed Harrison Act. Yes they knew. What could we expect with democracy insufficiently tamed by higher law. Now, factor in the costs of the protected market for cigarettes. Multiply that by the past century. One having nothing to do with health and everything to do with market protection based upon where a commodity was grown with disregard and contempt for the actual health- aka the banning of coca to protect tobacco. DA- View it as an algebraic calculation. This involves serious amounts of public health concerns and terms of wealth as worldwide commodities. 1. Crude Oil or also known as petroleum is the term for ‘’unprocessed’’ oil, the stuff that comes out of the ground, which is in fact the most traded commodity in the world. Territories in the Middle East export 58% of all crude petroleum. Saudi Arabia exports over twice the US dollar value of any other territory, measured in net terms. The United Arab Emirates has the highest per person export earnings from crude petroleum. Other important exporters of crude oil are Norway, Venezuela, Nigeria and Mexico. 2. Coffee. Amazingly coffee is the second most traded commodity in the world. It is estimated that 1.6 billion cups of coffee are drunk worldwide everyday! It is produced in Latin America, South East Asia and Africa and the main consumers are United States and Europe. Today Brazil is responsible for about a third of all coffee production, making it by far the heavyweight champion of the coffee-producing world. Indonesia and its archipelago is most notable as the world’s largest producer of robusta beans, which is my favorite one. 3. Natural Gas is traded a lot because it is the only thing used everywhere from cooking to heating water in winters. It has a volatile marketing style because of its price fluctuation. Russia is the largest exporter of natural gas. It is interesting to note that Canada is the second major exporter followed by Norway. The world’s largest proven natural gas reserves are in Russia, Iran, Qatar, Saudi Arabia and United Arab Emirates. 4. Gold is the fourth most traded commodity in the world is gold. It has always been valuable, the reason is may be the beautiful color or maybe it is rare, for many women may be it’s the important part of them or anything else. Additionally, to inform you South Africa no longer holds the title of the world’s largest gold producer. Currently China is the world’s top gold producing country. Next goes Australia. 5. Brent Oil is the second most traded oil in the market after crude oil, and 5th most traded commodity in the list. This oil is basically taken from the North Sea and Norway and areas like Europe and Africa use Brent oil more as compared to crude oil. It is used to price two thirds of the world's internationally traded crude oil supplies. According to the CIA World Factbook estimate for 2010 the world consumes about 87 million barrels of oil each day. 6. Silver is used, from preparing jewellery, ornaments, utensils & currency coins, silver is also widely used in industries for making electrical conductors, mirrors, chemical industry, photographic films, etc. Mexico, Peru, China and India being the largest exporters, it is valued as a very precious metal & has been used since ages to symbolize social or political rank. 7. Sugar is a common ingredient, so popular that much of the foods we consume daily has sugar content in it. In the western world basically, sugar is a major part of everyday’s diet and found in the vast majority of snack and junk food and most countries in the world trade in this commodity. From last few months sugar contracts are on continuous incline with India, China and Brazil as the major exporter. 8. Corn is one of the most flexible agricultural product, it has immense demand from across the world. Around 70% of its production comes from United States with 80 million acres dedicated for this purpose. Corn is also used in a number of food items as well as cattle fodder in many parts of the world. Research also suggests that corn will in time become a relevant source of alternative energy. 9. Wheat is used in many of the things we eat on a daily basis such as bread, cereals and deserts, thus it is one f the most traded commodities in the world. The growing popularity in people becoming health conscious has also led to an upturn in wheat trading. It is third most produced cereal grain after Rice and Maize and also the most grown commercial crop in the world. 10. Cotton, a soft fluffy plant, cotton, is used not limited to only clothes, coffee filters, and paper but also for fishing nets, fire hoses, oil, cosmetics, medicines and many more. USA, Australia and Brazil are its largest exporter while China, USA, India, Brazil and Pakistan are it major producers. Cotton has been traded for thousands of years and to this day remains on as the world’s most in-demand commodities. Serving a dual purpose, as a central nervous system (CNS) stimulant, and also as a relaxant: Cigarettes for example are widely known to provide both stimulation or relaxation depending in part upon how they are dragged (pulled upon and inhaled). IOW- major chunks of the worldwide economy. Akin to petroleum as #1. Coffee as #2. And more. Consider the military costs. People are conditioned to view certain things certain ways- even with gross discrepancies, inconsistencies and oversimplifications. ML- A major part of the problem was the sloppiness of Sigmund Freud’s writings. 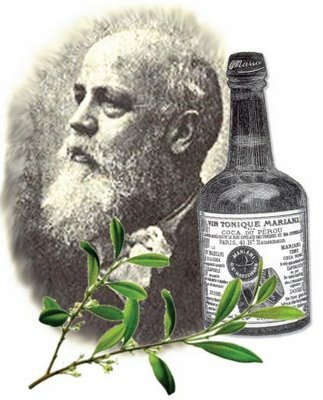 He started with “On Coca” – about the plant or the leaf, or its extract, or its most potent natural ingredient. And then he writes about drinking a Coca preparation as say Vin Mariani. Or taking 50 mg of cocaine hci powder diluted in an 8 ounces of water. Or something approaching that dose by snorting the powder version directly up one’s nose. Or taken in a 7% solution by a needle intramuscularly or intravenously. And to continue such sloppiness upon finding bad uses (abuse) to the point of apparently forgetting about the previously discovered good uses (use versus abuse). So Freud ends up embarrassing himself with the unproductive anti-social political wing-wanging to the dangerously simplistic political sloganeering and progressive ‘poetry’ getting people to acquiesce to getting into the mess of the ‘war on drugs”. Such is a hazard of being conditioned to see the name of a given drug over simplistically defined as one of abuse or addiction. Merkel demonstrates the fallacy of such laziness as an over-reaching negative spin altogether disregarding anything qualitative, and in fact the major flaw with entities as the U.S. National Institute of Drug Abuse (NIDA) of defining any drug as strictly one of abuse or “addiction”: a scheme thus thwarting research and development of such natural plant drugs which would compete with patentable synthetic pharmaceuticals (which along with cigarettes is why we are in this drug policy mess). The medicine Bentley prescribed for her was the fluid extract of coca manufacture red by Parke Davis and Company in Detroit, Michigan. The preparation they offered was standardized in the United States Pharmacopoeia, 6th to 8th editions (1880—90), and contained 0.5 grams of coca alkaloids per one hundred cubic centimeters of solution. Of course, cocaine was one of those alkaloids contained in the fluid extract, but according to Bentley’s recommended dose (1 drachm of fluid extract when the desire for whiskey or opium is quite urgent), a patient would only consume .0185 grams (slightly more than 1/200 of a gram) of cocaine per dose, and even then it would automatically be taken in conjunction with coca’s natural complement of other alkaloids; because it was prescribed to be drunk, this solution would necessarily have to pass through the liver and kidneys. In these two important respects the use of the fluid extract closely resembled the Indian method of taking the drug, a procedure proven harmless by centuries of use. It is also interesting to note that one would have to take 13.5 one drachm doses of Parke Davis fluid extract just to get the amount of cocaine alkaloid consumed daily by an average Peruvian Indian. This is based upon Hanna’s study that estimates the average Indian digests approximately 0.25 grams of cocaine a day by normal coca use. Kennedy’s writing clearly defining what was going on. Coca, providing a dilute dose of cocaine with the other Coca components, was found a useful substitute for Opiate, alcohol and tobacco; and not the injections irresponsibly promoted by Sigmund Freud, to quickly pump up cocaine alkaloid blood counts to massive multiples, with all sorts of acute toxicities absent with chronic low-dose cocaine via Coca. 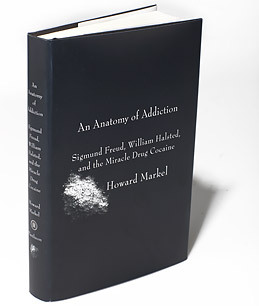 A tremendous intellectual problem was created with the type of writings as those of Sigmund Freud, whose works as ‘Uber Coca’ (‘On Coca’) with its loose use of terms as ‘coca’ and ‘cocaine’ making it difficult to understand exactly what he was describing- drinking 50 milligrams of cocaine diluted in 12 ounces of water- or taking that same amount by a needle into an arm? “A NEW METHOD IN THE TREATMENT OF THE ALCOHOL HABIT” By William F. Waugh, A.M., M.D. Professor of Practice and Clinical Medicine, medico-chirurgical College of Philadelphia, Read before the Pennsylvania State Medical Society and re-printed from Mitchell’s “Clinical Notes,” October, 1885. (excerpt) … in the fourth and fifth classes I desire to recommend the administration of Erythroxylon Coca. It is useless in the treatment of delirium tremens, but to relieve the depression resulting from the deprival of stimulants it has remarkable powers. Its effects in relieving one from the sense of fatigue are too well known to require more than a passing notice. I have frequently returned to my home after a hard day’s work only to find that a still harder night awaited me in the shape of a tenuous labor case. A dose of coca, however, removed the fatigue and left me as fresh as when starting out in the morning after a sound night’s sleep. Some years ago I was consulted by a gigantic Irishman who worked as fireman in a rolling mill. He informed me that when he had finished his day’s work he was so fatigued that he was unable to find his way home unless fortified by a drink of whiskey. But unfortunately, the first taste fired poor Paddy’s heart and the inevitable result was “a spree”. I gave him some fluid extract of coca leaves, directing him to take a teaspoonful just as he quit work. The result was, as he afterwards informed me, that in five minutes the fatigue had so completely left him that he felt quite ready to go back to the shop and do a second day’s work at once. This case was cured and the cure has remained for five years without a relapse. In repeating this experiment I found an obstacle in the fact that men did not like to be seen taking medicine. They could not be induced to carry a bottle and spoon around with them and withstand the badinage of their companions. Besides, the liquid preparations of coca contain alcohol, and I may say here, that in all experiments with coca, it is necessary to exclude carefully the effect of alcohol, which obscures and often counteracts the effect of the remedy. After many trials I succeeded in having the coca put up as a masticatory in the form of plugs like tobacco. These were made at my suggestion by C.L. Mitchell, M.D. & Co., Pharmaceutical Chemists, of Ninth and Race Streets, Philadelphia. I have given this preparation the name of “Coca-Bola” from coca and bolus, a mass. Each plug is about the size of an ordinary plug of chewing tobacco, and contains about 200 grains (nearly half its weight) of coca leaves, besides a small quantity each of tea, coffee and coinchona bark. Each plug is marked off for convenience into squares, each square containing about 16 grains of coca leaves; this quantity is about sufficient for a single dose or chew and even a smaller portion my suffice. It is to be thoroughly masticated in the same manner when chewing tobacco, the saliva being swallowed, not ejected as in tobacco chewing. After the mass has been masticated for some time and the virtues of the coca leaf pretty well extracted, the residue is to be ejected. A chew of the “Coca-bola” take in this manner occasionally throughout the day will generally completely satisfy the craving for stimulants, and at the same time remove any feeling of depression or fatigue. The addition of the tea and coffee seem to assist considerably the sustaining and stimulating effect of the coca leaves without producing any injurious after effects.The advantages of this method of administering were found to be many and removed completely all the difficulties previously referred to. It contained no alcohol, did not require the use of the objectionable bottle and spoon, was exceeding convenient, and as it so closely resembled tobacco, its continued use excited no remark. Besides it could be easily carried in the vest pocket. By the use of the “Coca-bola,” in the treatment of the class of cases previously referred to, we substitute for the objectionable habit of drinking liquor the harmless use of coca. So free is it from all injurious effects that I can say that in my opinion no greater boon could be conferred on humanity that in the conversion of all alcohol drinkers into coca chewers. At my request, Dr. Mitchell has now prepared the “Coca-bola” for sale and will shortly place it on the market, when I would ask its careful trial by such of my professional brethren as are interested in the treatment of this class of cases. The chewing of tobacco, soon leads almost unconsciously to the formation of a habit of chewing, and when the mouth becomes accustomed to the frequent regularity of the movements of mastication, and the continued presence of a foreign body, the action becomes in a certain sense an involuntary one, and any interruption or break in its regular performance adds a disturbing element which greatly enhances the depression naturally resulting from the withdrawal of the physiological stimulus of the tobacco. A habit soon becomes a second nature, and a habitual chewer of tobacco derives as much satisfaction, and from the “company” of the “chew”, to which he had accustomed himself, as he does from the drug itself. 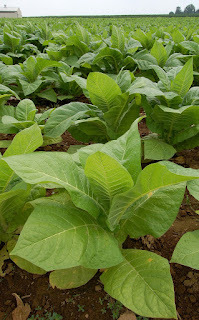 The use of tobacco in chewing or smoking, as well as the frequent drinking of liquor, produces a catarrhal condition of the mouth which also adds to the desire for the presence of the quid. The oral mucosa are in a state of sub-acute congestion, and while the first result of the habit is to stimulate their secretions, this is soon followed by catarrhal changes, whereby the saliva and other juices become greatly diminished in quantity. An uncomfortable feeling of dryness and heat in the mouth soon results, only alleviated by the employment of the alcohol, or the tobacco. To relieve this condition of affairs in many different “tobacco substitutes” have been recommended, but with very little success. They are generally compounds containing large quantities of licorice-root, and while they partly satisfy the taste, they do not supply any stimulus or sustaining agent to take the place of the refreshing and almost nourishing tobacco, neither do they allay the congestion of the mouth. They have an agreeable, bitter aromatic taste when chewed in the mouth; they greatly diminish the blood supply in the superficial capillaries of the mucous membrane, and should thus relieve the congestion of the oral mucosa; and the general tonic, stimulating and sustaining powers of the drug should render it a suitable and innocent substitute to take the place of tobacco. The United States Department of Agriculture (U.S.D.A.) studied the domestic production of Coca and other drug crops, as was reported in January 1904, in The Boston Sunday Globe which gives little information beyond identifying a list of studied drugs plants, such as Coca, Cannabis & Opium. It is my opinion that the Coca plant is adapted for culture in many countries where it is now unknown. Among the countries where it would be well to experiment with it are Guatemala, Mexico, the East and West Indies, India, Southern China, potions of Africa, and possibly India. It is doubtful if it would grow in any portion of the United States. Requiring an average temperature of at least 70o, the only districts at all suited would be Florida and Southern Texas [this was written before the 1898 U.S. acquisition of the Kingdom of Hawaii]; and it is highly probable that proximity to the sea-coast at so low an altitude would prove fatal. Nor would irrigation prove adequate in those countries possessing a long dry season. 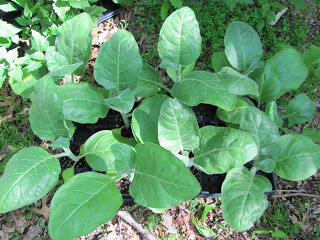 The plants must not only have an abundant supply of water at the roots; they must be bathed in a humid atmosphere for the greater portion of the year. But from what I have read of some of the countries above named, I am confident that the plant would there find a congenial home. Jamaica offers especially hopeful conditions. 1904 appears as a pivotal year, not only concerning the Panama Canal which opened in August 1914, and significantly shortened the shipping distances for Coca leaves from South America’s Pacific coast to North Atlantic markets, but for other potential major factors. In January 1904, Angelo Francois Mariani receives his 2nd gold papal medal award as a ‘benefactor of humanity’ for making Coca commercially available to the world, from Pope Pius X, 6 years after receiving his 1st such medal from Pope Leo XIII in January 1898. 1904 is the year that major figures at U.S.D.A. and the A.M.A. and A.Ph.A., namely Harvey Washington Wiley and Kebler discovered Coca or simply cocaine regardless of potency as targets for the prohibition to come by 1914. However the act included section 2 allowing the U.S.D.A. Bureau of Chemistry to ban products as “adulterated” for containing and dangerous or deleterious ingredients. Though simply complying with the act’s labeling requirement would appear to safeguard legal Coca and cocaine food and drug products, Wiley’s highly publicized 1911 prosecution of Coca-Cola as a food product for “adulteration” would spur terror for doing so without a concurrent prosecution for “misbranding” as the act did not require labeling caffeine. 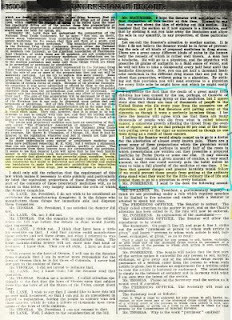 Subsequent legislative efforts to go from this de jure to a de facto prohibition of Coca and cocaine via the requirement of a non-refillable prescription- and hence a de facto conversion of all cocaine use into the most concentrated forms and undesirable modes of use- culminated by 1914 in the U.S. Congress with the Harrison Act. U.S.D.A. and A.M.A.-A.Ph.A. publications reveal a blatant motive of market protection – agricultural and pharmaceutical mercantilism. Journal of the American Medical Association (J.A.M.A. ), January 1, 1910, article titled “Coca Bola and Oxy-Tonic: Two Nostrums Exposed by the Chemists of the North Dakota Agricultural Experiment Station” by E.F. Ladd, a chemist at the North Dakota Agricultural Experiment Station, at pp 63-64 of Volume LIV, Number 1 under the heading Pharmacology. “Nostrums” was a word used as a spin against herbal preparations at a time – the start of the new century – conductive to ideas of ‘modernism,’ a concept itself based upon simply newness and thus not necessarily truth, and hence conductive to APhA efforts protect markets for synthetic pharmaceuticals. 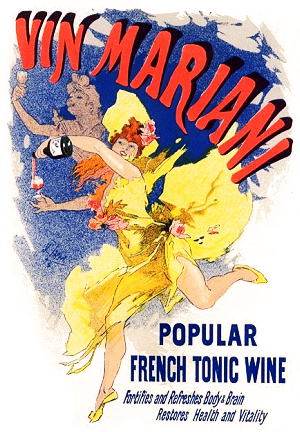 The word appears in the AMA’s 1905 condemnation of Vin Mariani simply based upon the legal definition of ‘foreign’ (e.g. the product originated in a foreign place and was now also being produced by the same formula and same ingredients blended in a factory domestically located. It also appears in the Samuel Adams Hopkins Colliers magazine articles warning against herbal and non-patentable generic pharm remedies. “Habit-forming” was the term used by the U.S.D.A. against market competition to its agriculture commodities it sought to protect. Coca, particularly that sold as a tobacco habit cure, was a ‘menace’. Never-mind that Kebler in 1912 testified to Congress that it was tobacco that contained arsenic and lead. Contrary to any assumption the government would ban the substance actually more dangerous while tolerating or promoting the safer one, the U.S. government ended up doing just the opposite, with Coca and Tobacco at the opposite ends of the spectrum. Coca is the safest, according to U.C.L.A.’s Dr. Ronald K. Siegel’s 1989 book Intoxication. Tobacco is the most dangerous, extracting 440,000 plus reduced lives in the U.S. annually, 6 million annually in both India and China. That’s 1,200 daily just within the U.S. The fluid extract of coca in a glass of sherry wine, taken immediately before the curtain rises, will do much to secure a satisfactory control of the voice during the performance. Chronic laryngitis is a chronic inflammation of the mucous membrane of the larynx. Etiology.—It is generally the result of faulty use of the voice by singers or public speakers, and also of excessive smoking, especially cigarette smoking. The smoking of cigarettes is particularly injurious, not on account of the paper wrappers or any peculiarity of tobacco, but from the habit all cigarette smokers soon acquire of inhaling the smoke and bringing it directly into contact with the sensitive mucous membrane of the larynx. It is the very "mildness" of the smoke from cigarettes, in comparison with cigar smoke or that of a pipe, that makes them more injurious. The convenience and cheapness of cigarettes also causes the cigarette smoker to light a cigarette whenever he has a few moments to spare and under circumstances when he would not think of smoking a cigar or a pipe, the ill effects of which are generally confined to the pharynx. Dusty occupations and the frequent drinking of undiluted distilled liquors are also causes of the disease, while the affection is sometimes simply the expression of the rheumatic diathesis. The presence of tumors inside the larynx usually is the result rather than the cause of chronic laryngitis. Asides from whatever was written, judge by simply handling Coca leaves and Tobacco leaves. One can swallow Coca leaves fine. Swallowing Tobacco will make one cough up blood. Such readily observable pharmacological properties, and thus the market suppression of the safer alternative, Coca, and market promotion of the more dangerous alternative, Tobacco, made this an expensive and foreseeable mistake. Key was the demonification of the word or term “cocaine”- which was really only truly useful for those interests of – to be consistent here – caffeine and nicotine- aka Coffee-caffeine containing teas, and of course Tobacco. Marijuana (Cannabis), has THC and CNBs. Provides an effect that satisfies as a social lubricant and stimulant of conversation, writing and other arts- fostering creativity. It is already well known that MJ is infinitely safer than alcohol. And it’s clearly obvious that Coca is infinitely safer and more satisfying than Tobacco. That sales chart you harp on, and rightly so, speaks volumes of the true motivation behind the ‘drug’ war. 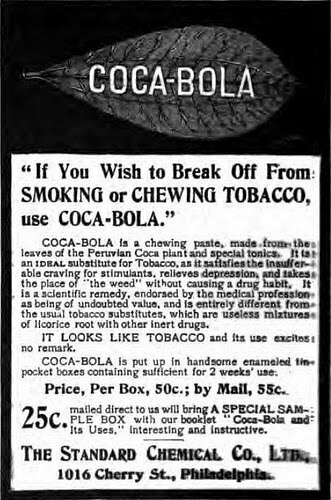 1908 Presidential Homes Commission was about the popularity of Coca –dilute cocaine particularly within the U.S. south-eastern Tobacco BELT. Yes it was viewed as a market threat. 1912 Habit Forming Agents USDA agricultural mercantilism. What a joke. Not just the article with its insanely blatant double standard. But also the juxtaposition with the immediately preceding article in that USDA ‘Farmer’s Bulletin”. And yes, just look at the ahem legal culpability of this powerhouse law firm, starting with its founder or co-founder James Harry Covington. And of course the DPF’s behavior like an animal whose tail reeks of its own you know what. ML- DW, how did you get your start in this topic? DA- Back in 3rd grade drug “education” under my homeroom teacher Ms. Crowley, during the first half of 1971, in March IIRC. Had an interest in cocaine going back further, at least to when I first heard of it in 3rd grade anti-illegal drug ‘education’ class, in March 1971. My reaction was ‘cocaine an addictive drug?’ Untrue! 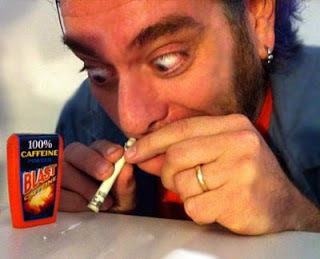 Cocaine is actually safer than, and indeed a delightful alternative to caffeine. Except of course when cocaine is used like heroin, that is, when injected. Then cocaine is actually way worse than heroin- shorter acting, mania and ultimately psychosis inducing- more than offsetting that cocaine is not actually physically addictive.' I was only 8 yet already knew this - like knowledge from a past life. Being that by that age I had already experimented with taking aspirin diluted in water, I had an idea of what was going on- the official quacks were completely disregarding the dosages. Shooting drugs was bad. But drinking them was fine- unless what, we demonify Coffee and other beverages containing caffeine?! And if something being physically addictive as heroin made that unacceptable, then what about Tobacco-cigarettes? Or potentially toxic then what about alcoholic beverages? The blurring together of vastly different ways of taking the same drug, and the lack of consistency in the ‘legal’ evaluations of the substances taken together to me screamed out- ‘fraud’. And then in 1977 I had this thought of the precursor of Coca-Cola being drank by certain women interested in stage performing in particular as a source of energy- inspired by a particularly energetic instructor personality. And later I found this song from Cole Porter referring to cocaine as a way of getting one’s ‘kicks’. You know- think of those sugary sweet soda pops, or rather, a tea boiling – let’s say Morning Thunder -- and sighing deeply like a steam kettle, strong morning inspiring conversation cherubic character, though what I was interested in *seriously* was something more like a low alcoholic wine Bordeaux- something bottled, with a bit of European class. First encountered by mutual eye and initial greeting by the middle part of that year, and some extremely nice but brief encounters by summer’s end and into that autumn. Now let it be clearly stated, I have no criticism of cocaine insofar as its occasional euphoriant is concerned. But – and this is the more crucial point – for every rush there is a corresponding jag, or drag, and in the end cocaine appeared to be unable, in strictly physiological terms, to balance the body’s own metabolic equation. It is as if the drug were governed by some esoteric principle of diminishing returns; for at the higher levels of consumption – say, two or three grams a day – it becomes clearly counter-productive, even self-defeating. In such circumstances the use of cocaine failed to produce any real exhilaration, and only served to a repeated, but short-lived, return to feelings of normal fitness. In a sense, this was due not to any quality inherent in the alkaloid of cocaine itself, but principally to the very potency and speed of action of the drug in its refined, concentrated state. 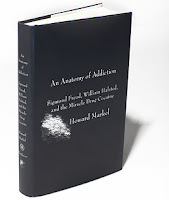 I became convinced that, in order to discover a dependable and truly balanced stimulant – something more exact than tea, coffee, or yerba mate, and less improvident than the amphetamines – it would be necessary to moderate the initial cocaine effect, to sustain it and prolong it at a steady level for several hours. Obviously, there could be no better place to begin this search than with the very plant – coca – from which cocaine had originally been derived. 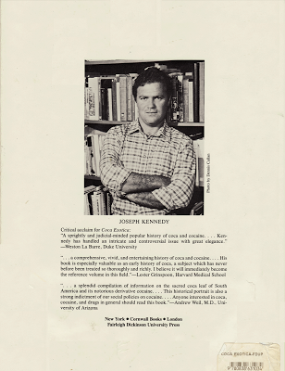 On returning to Columbia in May 1973, therefore I was no longer greatly interested in using the dread cocaine itself, and instead my major preoccupation became that of learning how to chew coca leaves properly. Though this ran against the grain of orthodox, purely academic anthropology – and, as a result, produced a less than enthusiastic response from the authorities in Bogota – it seemed clear that only in this way would I be able to reach any understanding of the Indian peoples who used the drug, and accorded it such a vital role in their daily lives. I had to admit, however, that this simple statement of intent – this espousal of a satisfactory framework for all of the manifold aspects of the task at hand. Most importantly I, it lacked any definition of the nature of coca itself, implying that mere personal events could somehow be isolated from their cultural and historical setting, to the point where they became no more than a rather gratuitous exercise in introspection. The problem remained something which could direct the development of research without subjecting it to the alienating constrictions of a formal methodology, without limiting it to the mere testing of preconceived hypotheses and mechanical models of human behavior. It was for this very reason that I began to find myself – almost seduced, in a manner of speaking – by the enigmatic figure of Mama Coca, who somehow summarized in her shadowy, mythical personality the very nature of the drug itself. Coca and its alkaloids have always been associated with some sort of womanly or female presence: this has been made explicit – in my mind at least – by the slang of New York City, where cocaine is often known as ‘girl’ or ‘lady’, and in that of Spanish America, where the term is used esoterically – such as la nieve (Bolivia), la perica (Columbia), and la tia blanca (Peru) – are all feminine in gender. Furthermore, I had enough prior experience of cocaine itself to know what this feminine principle entailed, at least in terms of the refined form of the drug. At first sniff, one would perhaps imagine that such a potent stimulant should be classified as pertaining to the aggressive, masculine realm. But this would be to ignore the very changeable quality of the cocaine experience, the very fickle nature of its associated euphoria, and in particular, the intense bitchiness it could produce on being abused. All of these traits were feminine – at least in the traditional sense of the word – and they all tended towards a definition of the coca experience couched in terms of malleability, of sudden change and transformation. Truth to tell, the original outline of the Peruvian Mama Coca had first made a conscious impression on me a few years previously, while leafing through Mortimer’s classic ‘Peru: a History of Coca’. Not being at that time sufficiently interested to begin a critical reading of the whole weighty tome, my attention had initially been captured by the many fine illustrations which graced its pages. Most noticeable of these was the frontispiece, which bore the title ‘Mama Coca Presenting the Divine Plant to the Old World’. It showed an Art Nouveau priestess in a long flowing white robe, bedecked in extravagant jewels, and wearing an amazing feather head-dress. With the sickle in her right hand she had cut a few short branches of Coca from the bush, holding them aloft in her left. She was placed on top of a boulder, her feet chest high to a Spanish conquistador who stood with his right hand raised to receive the wondrous gift. Clad in a full suit of armor and carrying a double-headed sword, he presided over a background which included a group of Spanish soldiers leaning on their pikes and, in the distance, three small caravels at anchor in a placid bay. 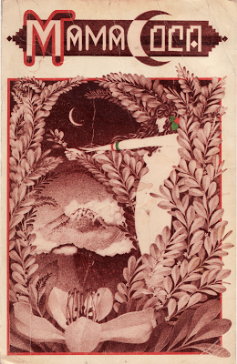 Though this image was itself extremely evocative , I couldn’t help being disappointed by the fact that the body of Mortimer’s text contained precious little further reference to the coca goddess, other than to state that she was associated specifically with the star Spica, in Virgo, a fact that is certainly in keeping with her character. The expression ‘Mama Coca’ seems to have been first used in English by Plukenet, in a botanical description of the plant contained in his ‘Phytographia’, a work published in London in 1692. Here Mama Coca was considered a deified name, roughly translatable as “Mother of Coca”. A similar idea of maternity was also asserted by the proliferous Frazer, author of ‘the Golden Bough’. He wrote that the Peruvians believed all crops to be protected by tutelary spirits which stimulated their growth and which were always known as the ‘mother’ of the plant in question. This was all very well as far as it went, but the transplant simplicity of Frazer’s view seemed somehow to cry out for further elaboration, for a closer and more thorough appraisal of the Mama Coca idea in its indigenous setting. In the first place, it appeared that Mama Coca should really be seen as a specific manifestation of a more general deity, the Mama or universal mother figure who is well represented in a great number of other guises as well. One of these was Mama Huaco, who is often equated with the goddess Pachamama, or Mother Earth, whose central position in Andean religion significantly predated the Inca Empire, and whose importance survived unaltered, even despite the imposition of an official Inca cult based upon worship of the Sun. ML- I mean the Coca issue, particularly the story of Angelo Francois Mariani? DA- A key moment in my research was in autumn 1987 during my first semester in law school. A key research moment was that letter I received from Michael Mitchell of the Fitz Hugh Ludlow Memorial Library in October 1987. It gave me Angelo Francois Mariani’s birthdate and death dates. And it tells me about this guy in Amsterdam, Holland, ‘Chas Vermeulen Windsant’ and his epiphany emergence of a sudden obsession in Spring, 1978, with the story of Mariani, to prompt him to begin years of Mariani research. 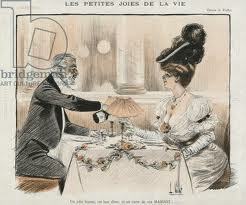 In particular, Windsant was interested in the circumstances of his April 1, 1914 death. According to that letter, Windsant was going to do a book ‘quasi fictional account’ of the April 1, 1914 death; the death was considered strange for having a police certificate, said to be suggestive of foul play; and with no mention of anything obvious, a plausible inference that Mariani may have been poisoned. No further information is given, such as who else was in that house. 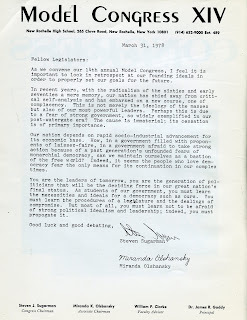 When I ask him the date of his Spring, 1978 epiphany of this April 1, 1914 death, ‘was it the anniversary, April 1, 1978’, he flusters and starts trying to retract the information, never-mind what was contained in the 3rd party letter. And never-mind Windsant’s own words to me about Mariani as the ‘central figure of his time’. ML- With a spooky-sounding death-date April 1, 1914 - MCMXIV - sounding perhaps like some weird Camelot went wrong story? Like some Masonic parable of the gal and the broken pillar who must be shown up to the world, given the outbreak of WW1 that very summer. And check out that tower of Valescure – Villa Mariani- an uncommon design in the U.S.
DA- When and where can they say it started going wrong late 1970s, but I’m thinking in hindsight broadly it goes back to 1971- an example being the founding of NORML- thus limiting opposition to the ‘drug war’ – cigarette mercantilism – controlled substances act to Marijuana- Cannabis, totally ignoring opium and coca, and others such as ibogaine weirdly made schedule 1 like cannabis which is being shown to effectively fight cancer- see Rick Simpson’s Run From the Cure. Yes NORML was good for Mary-Jane, but 1971 could have instead have brought a NORFDL- Food and Drug Laws – instead of now leading it to the future, now for forging together the assets long apart. DA- Yes. Everyone and anyone reading this, go ahead to research the relative health differences between the suppressed Coca Leaf and the protected Tobacco Leaf. 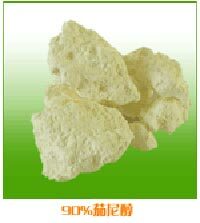 As both are essentially habitually used agricultural produce stimulants, with the U.S.D.A. 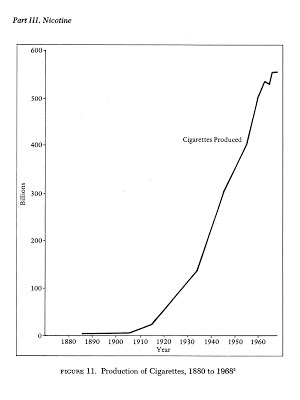 specifically concerned about Coca as a substitute for Tobacco in bringing about Prohibition during the early 1900s, we ignore this comparison at a continuing great cost. And then fail to place the blame. Jeez. Pass legislative crime banning ‘opium and coca leaves and any mixture containing any amount of cocaine’- effectively banning Opium and Coca, but replacing them with CONCENTRATED heroin and cocaine. It is like foolishly insisting upon throwing votes away upon the two parties that got us into this mess. All that from a nation that was perfectly fine and accepting of the Angelo Francois Mariani, populizer of coca inspired beverages etc. The American crack epidemic refers to the surge of crack cocaine use in major cities across the United States between 1984 and 1990. According to New York Senator Charles Schumer in a statement made in August 2004, "Twenty years ago, crack was headed east across the United States like a Mack truck out of control, and it slammed New York hard because we just didn't see the warning signs." ML- How did you get involved in the drug legalization movement? DA- 1986-87. 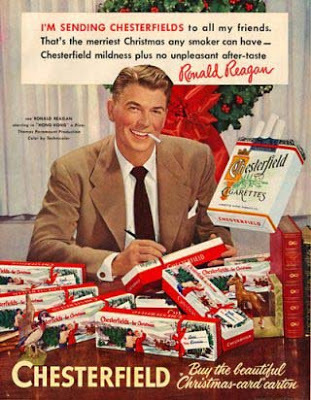 The insane hysteria over cocaine by that supposedly conservative limited government Ronald Reagan. That would lead me by April 1987 to go to a bookstore along Central Avenue in Yonkers, N.Y. just across from the intersection with Jackson Avenue between the sites of ‘Alexanders’ and ‘Caldors’ just one or so blocks north of the famous Nathans stand. 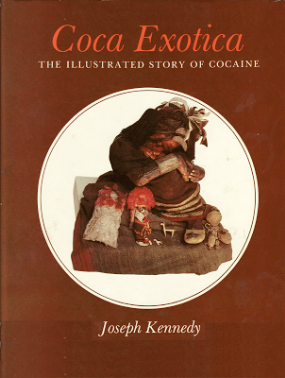 It was there that I started reading books about cocaine, starting there with "Cocaine- Its History, Uses and Effects" by Richard Ashley. It was my inquiring during latter 1987 leading me to that letter about Windsant’s interest in Mariani’s death and story, that also led me to my first anti drug war protest at that time October 1987, with some local Libertarians, and a subsequent such Libertarian Party meeting in White Plains, New York where I met “Burning Issues” contributing writer Douglas Green, who by that summer had introduced me to others, such as Cures Not Wars and the political activist Dana Beal, and the issue of Igoga-Ibogaine.. It was in 1988 that I attended my first annual NORML conference, at year in Washington D.C. The following year (1989) I begin attending the annual conference of the Drug Policy Foundation. In 1990, I began submitting a paper proposal to the Drug Policy Foundation, getting published for that year plus 1991 and 1992. My 1990 paper was The Ever Changing Ever Confused Popular Conception of Cocaine; my 1991 paper was Cocaine Prohibition Water or Gasoline [for Treating the Flames of Drug Abuse]; my 1992 paper was Cocaine Conversion- Onwards to Coca. And upon asking why I was not placed upon a panel in 1990, was told to simply ask for the future, and did so since; for 1991 I was placed upon the regular cocaine panel; and for 1992 I was placed upon the cocaine panel plus another panel, one on trade, “Is the U.S. exporting its problems”. And it was by 1992 that I was espousing upon the historical thesis of the drug war as a mode of Tobacco-cigarette protectionism. ML- Indeed. You’re a man who knows potential upon seeing it. DA- As so with the appearance of potential possible conflict of interest with a law firm involved with pharmaceutical and tobacco-cigarette interests to the degree that it is ad has been, to perhaps potentially result in this sort of academic subversion of Foundation activities. We got the Washington, D.C. based Drug Policy Foundation (D.P.F.). Though a product of those already involved with the cause of relegaliing Marijuana (Canabis), it had nothing specific on reintroducing plant drugs as Opium or Coca. To its credit, the D.P.F. 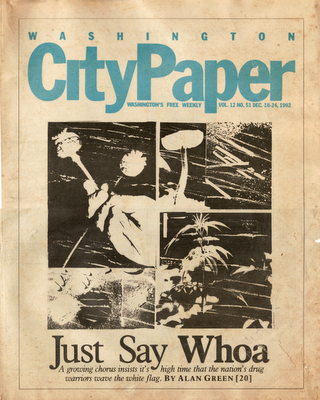 did have regular panels on Opiates and Cocaine at its 1989, 1990, 1991, 1992 conferences, then afterwards neuters the DPF program, making it way more conservative, fashioning some worthy concept-slogans, while simultaneously castrating them- aka Harm Reduction as clean needles, safer crack pipe, but safer forms of drugs such as Opium and Coca are strangely absent. I mean look at the various changes in policy that came via the Drug Policy Foundation cir 1993. Chop the conference paper compendium by 80 or 90 %, and even for a time IIRC making it for papers published elsewhere, to eliminate it as a venue for original papers. 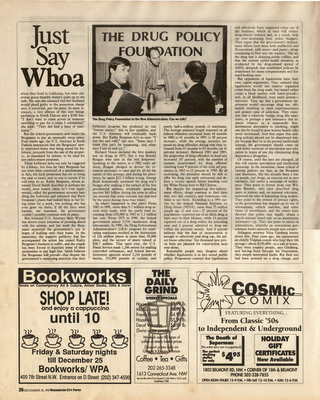 And eliminate the DPF’s television show- despite words to the contrary in a DFP fund-raising letter a few weeks after that 1992 photo appeared in that City Paper article. ML- And never-mind that the DPF was established in 1987 in response to the ‘anti-drug’ hysteria of 1986 primarily over COCAINE. And especially given that weird behavior by Ira Glasser at that 1997 DPF Cocaine ‘Roundtable’. He states that cocaine is somehow too difficult a topic for the drug policy reform movement to address; that the effects of the drug can be too frightening for people to consider its legalization. And when you bring up your arguments he can only sit like a stone- still and quiet. It is definitely as if he’s been tugged by some string, as if in some fashion directed or advised. I can see why that you smell a rat. ML- And by 1988 it is coupled with that city’s powerhouse mega tobacco-pharma law firm of Covington and Burling. DPF started relatively good to its mission. But by 1993, the year one would have thought it would continue along, given the changing of the ceremonial guard from the Bush to the Clinton administrations, it instead became more regressive, with good basic concepts of “harm reduction” but strangely curtailing / short-selling that very concept- limiting it to things as clean needles, safer crack pipes etc, but ZILCH on to the very forms of the drugs. DA- I was on the cocaine panel in 1991 and 1992, plus an Ethan Nadelman moderated panel Is America Exporting Its Problems in 1992. The DPF published papers I authored on the topic of cocaine drug policy, appeared in their 1990, 1991 and 1992 conference paper compendiums- well bound 300 or so page books with about 120 separate articles. Until 1993 when its reduced 90% and only features reprints of already published elsewhere articles, plus other policy changes- totally screwing independent researchers. My last published words via the DPF at the end of the 1992 article Cocaine Conversion- Onwards To Coca … transforming today's cocaine market back to Coca would clearly be a positive development. While prejudice against cocaine per se is strong, this is based upon viewing the drug in the undesirable contexts it was placed by misguided medical science and prohibition. Most people don't realize the folly of how we view cocaine because they only know this "Lady" of drugs in such "cracked" manifestations as blow and crack, even though inverting the paradigms of cocaine and its licit counterparts would clearly reveal this unacknowledged fallacy. To rectify this, we need to turn the cocaine market back around towards Coca. Accomplishing this would require a re-educating the public: showing them the dangers of concentrated drugs, and the benefits of Coca we have denied ourselves for so long. Some may prefer this not happen; however, such a view is incredibly short sighted from both a business and moral perspective. 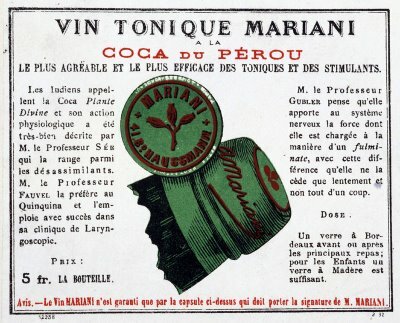 Converting the market to bring about concentrated cocaine's virtual disappearance and Coca's reemergence would have benefits worth billions- both from eliminating the negative effects of the drug today and by giving us the benefits of Coca tomorrow, including those that could be expected from the development of Coca based pharmaceutical medications: unique preparations with unique applications. All of this though could very well be thwarted by well meaning, though ill-conceived ideas, namely Hirsch's idea, that would prevent Coca advertisements during the five years following prohibition's repeal. In addition to slowing down Coca's re-popularization, their proposal would likely result in a scenario where the use (and by proportion the abuse) of isolated cocaine would likely rise as it became more available. Making Coca available would go far in pulling consumers away from the concentrated drug; however, if advertising is prohibited for Coca products, the possibility is real that rising cocaine hydrochloride and sulfate abuse would occur and be interpreted not as a signal to go forward with Coca, but to go backwards to black market concentrated cocaine. Coca's re-popularization only needs a level field. With our potential to innovate, the chances are excellent that we could bring about this needed change in the market, and consign today's deplorable situation with cocaine to history. Given the shortcomings from where things are today, standing in the way of entrepreneurs to transform the market would be unconscionable. The DPF approved the COCA ‘95 panel at the DPF conference in Santa Monica CA October 1995. It was the 2nd best attended panel of its time period; moderated by myself, Douglas Andrew Willinger; it included Mama Coca book author Anthony Richard Henman, Peruvian journalist Roger Rumrill, and UCLA’s Dr. Ronald K. Siegel, author of the 1989 book Intoxication. It also included a 5th panelist Dr. Jorge Hurtado via a pre-recorded video tape. The woman at far left was Rumrill's translator. Ethan Nadelman and Jacob Sullum were in the audience. 'Just Say Whoa’- indeed. Immediately subsequently the D.P.F. discontinues its regular Cocaine Panel. And since, I am never yet again published by the D.P.F./D.P.A. This is despite making numerous proposals to the DPF and subsequently the DPA now for the past 20 years. Except for the COCA ‘95 panel, which I promoted by “cc”ing the proposal with a cover letter addressed to D.P.F.’s Dr. Arnold S. Trebach identifying myself as a recently former student of his (AU- School of they rejected all but one, the History Panel, which they nonetheless refused placing me upon, nor publishing anything on Coca, let alone the U.S.D.A. 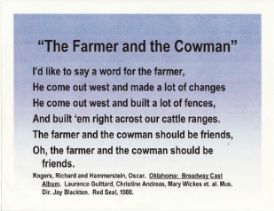 agricultural mercantilism by anyone. The D.P.F.’s ‘Student Paper’ competition, started with the 1996 conference, and ended with the year 2000 such presentation first place for a student, last name Christian, who did his on Coca and who confirmed a number of my own observations about the weightiness of the politics against coca. Though it survived Trebach's 1997 departure from the DPF, it disappeared with the DPF's 2001 transformation into the D.P.A. These proposed panels included (1994) Coca- Turning Over a New Leaf Towards Reducing Health Care Costs with Dr. Lester Grinspoon; addressing such things as Coca tea to better facilitate childbirth reducing incidences of prolonged labor and hence brain damage from birth canal strangulation. Presenting Coca in this context is a potent antidote to popular misconceptions that drug prohibition somehow serves the general welfare. People support prohibition, generally viewing it favorably in inverse proportion to the degree they see illegal drugs as "bad." 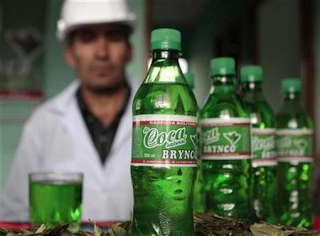 The story of Coca though is a powerful indictment of prohibition. Here is something clearly good, useful for a variety of medical uses, and as a daily stimulant. 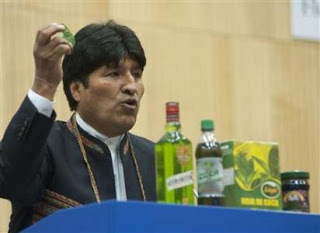 Indeed, to a greater extent than medical Marijuana, drug war proponents acknowledge such medical uses of Coca as a remedy for high altitude sickness, other forms of nausea, and stomach aches; indeed recommendations for these uses of Coca are found in virtually any Andean tourist guide book. People in most parts of the world though are generally oblivious to this, focusing instead the situation with concentrated cocaine that prohibition created and sustains. As people have had the drug issue defined in such a convoluted way to misperceive the illicit market in powder cocaine and crack -- cocaine hydrochloride and sulfate -- as the natural situation that would exist without prohibition, ignorance of Coca is crucial towards maintaining popular support for the drug war! The social importance of this panel is undeniably high. Let the following serve as but one example. The leaf's reported utility to the newly born --- as Coca is valuable to CNS stimulation and improves the blood count of oxygen, giving it to women in labor has immense potential towards reducing the instances of brain damage amongst newborns (see the Saturday newsletter from the 1993 DPF conference) -- alone could save millions of dollars in medical bills and lost productivity, to say nothing of the prevalence of these heart-breaking tragedies sustained by widespread ignorance of Coca's therapeutic benefits. Given the President's concerns over reducing health care costs and Coca leaf's potential with this, is extremely valuable to the general welfare. Indeed, perhaps this is the drug policy reformists' most powerful approach towards dispelling the false utopic vision now clouding a clear perspective of the drug war, for nobody can dismiss (or ignore) it without appearing down right callous. The Clintons ought to find this irresistible. 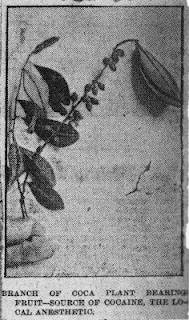 Another such panel proposal was (1997) Tinctures of Opium, Wines of Coca, etc: Popular, Pre-prohibition Uses of Natural Plants Perverted by Drug Prohibition into today's "Hard" Drug Plague. Yet prior to prohibition, opiates and cocaine were widely used as safely as aspirin and caffeine are now. Because we are so conditioned to react to the powder forms of these drugs, we forget that these more direct modes of ingestion -- sniffing, smoking and injecting -- were formerly a relatively rare phenomenon. Prior to the twentieth century's "war on drugs," most people using these drugs took them in dilute form, whether as raw plant material, or plant preparation of comparable potency. Such plants and their popular preparations were widely recognized medicinal agents, worldwide. 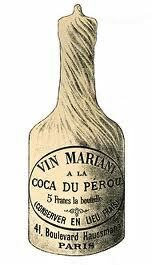 Meanwhile, the Wine of Coca, , became the most widely praised plant preparation of the time. ’s creator, Angelo Mariani was hailed by Pope Leo XIII as a "benefactor of humanity" for making Coca available around the world- after 40 years of Coca wine distribution." All of this of course, prior to prohibition. Any honest program of harm reduction in drug use must go beyond the narrow-minded discussion of today's "hard drug problems": heroin and cocaine hydrochloride, to look at Opium and Coca, to reveal the drug war's most intense effects upon drug abuse -- shifting markets to the infinitely more dangerous concentrated substances, while the natural forms are virtually forgotten. So naturally I am trying to find just what and who may be pulling their strings causing this. 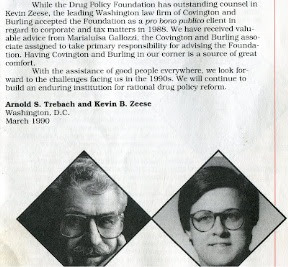 Researching how the DPF was so wired, I could not overlook the 1988-1989 DPF Biennial Report, and saw the reference in that March 1990 DPF Trebach-Zeese letter to ‘Marialuisa Gallozzi/Covington & Burling’. That spurred me to learn about the firm, its history, founder, and clientele, plus the attorney’s fields, to place the plausible construct of some advice/directive upon the DPF/DPA to thwart work deemed detrimental by a serious major pharma-tobacco representative entity, involving something keeping matters, ahem, bottled up. 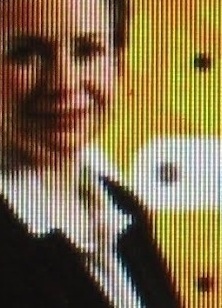 Certainly this Marialuisa Gallozzi-Covington & Burling pro bono connection is something of interest to many involved with drug policy reform legalization, just given the firm’s clientele, let alone indeed the firm’s origin’s with a key legal-judicial prohibitionist who upheld the Harrison Act as a Judge. Covington & Burling indeed! IMHO, there’s tremendous potential for good with these legal resources. And in 2011, ML appears in the list of the top 34. So I’m waiting. I see and have faith in the potential. Indeed, that is something I saw many years ago. And its something I ask myself years after my – indeed our generation’s – involvement with politics, aka things as Model United Nations and Model Congress. I went to two Model U.N. events. One in High School, 10th grade held at the Pennsylvania Hotel in Manhattan, N.Y., and one in College held in Boston. I went to four Model Congress events. 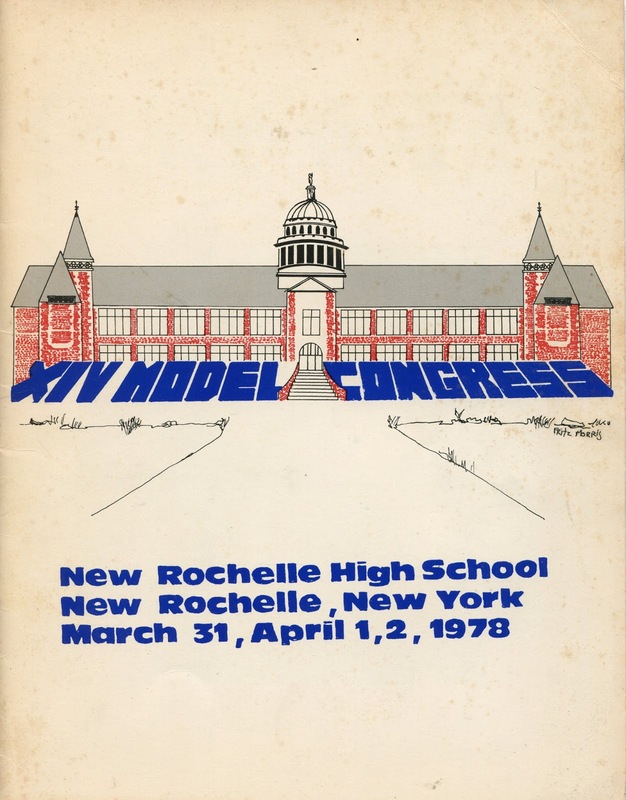 My first was held March 31-April 2, 1978 at New Rochelle High School . My second was in the autumn of 1978 at the Edwin O. Smith H.S. in Storrs, Connecticut, (where I met my first libertarians, ‘Orsel and Kunsler’ IIRC). The other two was my successive New Rochelle High School in March and or April 1979, and the one held in April 1979 at Fordham, in the Bronx. 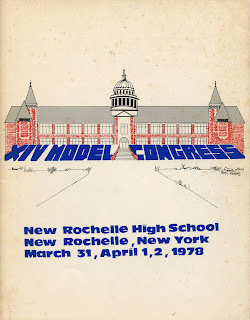 You were at the earlier New Rochelle High School Model Congress in 1978, where you won 1st Place, at that event (which issued only 3 such speaking awards), and IIRC was told that you had won 3rd place the previous year, 1977. 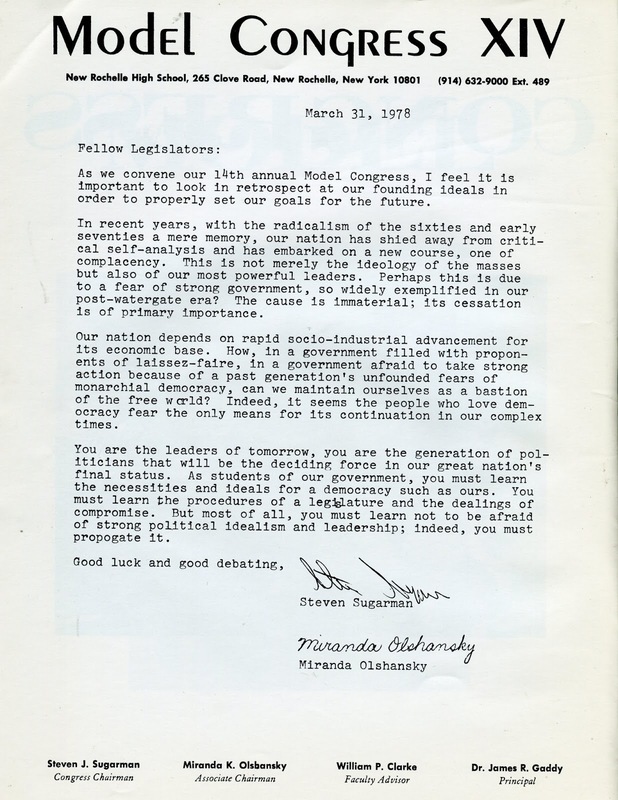 As we convene our 14th annual Model Congress, I feel it is important to look in retrospect at our founding ideals in order to properly set our goals for the future. In recent years, with the radicalism of the sixties a mere memory, our nation has shied away from critical self-analysis and has embarked on a new course, one of complacency. This is not merely the ideology of the masses but also of our most powerful leaders. Perhaps this is due to a fear of strong government, so widely exemplified in our post Watergate era? The cause in immaterial; its cessation is of primary importance. Our nation depends on rapid socio-industrial advancement for its economic base. How, in a government filled with proponents of laissez-faire, in a government afraid to take strong action because of a past generation’s unfounded fears of monarchial democracy, can we maintain ourselves as a bastion of the free world? Indeed, it seems the people who love democracy fear the only means for its continuation in our complex times. “Complacency” is a fair explanation of the prevailing political situation. The overwhelming percentage such as at NRHS called themselves “liberal” And they overwhelmingly supported Marijuana legalization back then. This was also essentially true in the mid-west, in Michigan at Hillsdale College which I entered in August 1980. Most the students there described themselves as ‘conservative’ – as in distrustful of expanded centralized government power. After all, both the prohibitions in 1914 of Opium & Coca, and in 1937 of Cannabis/Marijuana came under U.S. President from the Democrat Party, with the ‘warming up’ of 1914 with the 1906 Pure Food and Drug Act under a Republican Party President known as a ‘progressive’. Yet Hillsdale, which prides itself on its stated independence from the Federal government and its stated distrust of expansive government, has to my knowledge never devoted even a single issue of its Imprimis lecture series devoted to freedom of medicine and diet. Yet, of the dozens upon dozens of my ‘liberal’ and ‘conservative’ past schoolmates – whether direct or through Model U.N., Convention 2, or Model Congress, the number of familiar names I encounter in the broad realm of the fight against prohibition- almost zero: A Facebook contact from high school who works in ‘criminal’ defense. A junior high class mate who in 2008 was the Libertarian Party candidate for Vice President of the United States, and attended the 1978 New Rochelle High School Model Congress with me. And the 1st place speaking award winner at that same event, with the clear potential talent for a most excellent potential spokesperson and legal advocate for ending this disastrous Controlled Substances cigarette protectionism charade with all due speed. ML- Just do the math- so many and ultimately so few. We need freedom of medicine and diet with responsibility. That is, yes we need to scrap this ridiculous ‘war on drugs’ other than those established and protected. Yes it is wrongheaded, deceitful and excessive. But we need responsibility. Do we want gasoline stations selling crack cocaine alongside the lighters and rose stems? We know prohibition works badly, an expensive and vindictive endeavor. But we need some social guidelines that don’t infringe upon basic human rights, while providing some mild but effective disincentive as a bulwark against the worst excesses. DA- Which is what we have now with caffeine and nicotine. Coffee, and other caffeine containing beverages, and pills which are not smokable and require some effort to convert to a smokable form. ML- True, but not to the degree needed. For instance, pure caffeine is sold with scant labeling requirements. Such an effort can have governmental and voluntary elements. 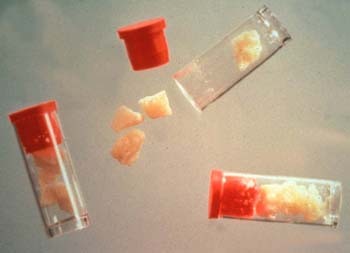 Local governments may prohibit the sale of certain compounds for dosing in highly potent forms in some venues, for instance gasoline stations could not sell smokable crack, which would be available in hospital basement dispensaries, (or people could just buy pills but still have to do a home lab to make them smokable, at least providing a slowing of the drug taking). Private industry could have a code not to glamorize such sort of modes of cocaine use/abuse, and could ethically promote safer substances, both those currently illicit and those licit- especially Tobacco. Because of the pharmacokinetics – aka dosage dynamics – for instance, with a boundary between use and abuse marked by people becoming anti-social and don’t want music which abuse does not tolerate, cocaine abuse can be targeted objectively. Clear and open discussion over mindless –autopilot ‘thinking’, like politicians who never took or care to have some basic understanding of chemistry. DA- While still remaining true to the 1st amendment. Which means advertising. Which means allowing the system to work naturally with advertising with reasonable regulation. 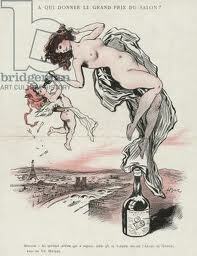 ML- Indeed, to better educate the public and promote the properly bottled essence of the lady. DA- Not simply Coca. But also Cannabis, including the Oil to treat and cure cancer. As part of a general re-appreciation of God’s gifts of the herbal world. Indeed there is so much potential. Yet so much laxness. The re-popularization of COCA and OPIUM is absolutely necessary as a start as a public health safety measure. Imagine just simply legalizing heroin and cocaine, and selling that in its current forms at drug stores. I’m sure they would not be selling bulk amounts packaged say like salt or sugar; rather the white stuff would be sold in smaller dose units, measured, and of a known and consistent potency, and even with fillers making them somewhat safer by better controlling the absorption. But is that really the best way to debut legal “cocaine” and opiates? Many people resist drug legalization for such as heroin and cocaine because of this narrow sort of focus. The D.P.F.’s post 1992 short-selling of ‘Harm Reduction’ sadly says little or nothing about the health importance of a drug’s form and mode of use. 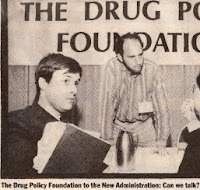 Though a drug policy entity, the DPF/DPA has foundered with its fear of addressing ‘cocaine’ with any great detail or discussion; it’s an attitude that Ira Glasser directly confirmed at the “Cocaine Round-table” at the 1997 DPF conference in New Orleans, LA. Oh, people are just too afraid of cocaine to even discuss it. Oh we can legalize MJ, but we can’t legalize the others, thereby maintaining the pharma-cigarette protectionist empire of courts-police-prosecution-incarceration. We can’t even get simple cocaine decrim- with jurisdictions as Virginia have statutes giving 12 months incarceration for cocaine residue. And of course such arrests include searches including rectal, as one might have a baggie of concentrated cocaine or heroin, even those drug arrests for things too large for such storage, as those found with MJ, particularly with presumed intent to distribute. ML- Whatever happened to notions of fiscal responsibility, or human rights? Keep people fearful of opiates and cocaine, never-mind the historical screw ups of replacing relatively bulky plant preparations with highly concentrated refined pills, powders and in more heavy hitting modes of dosing to justify the artificially inflated by prohibition price. And hence slow the pace of the drug legalization-pharmacratic inquisition abolitionist movement to glacial sped, with DPA’s Ira Glasser telling attendees at the 2011 conference to expect a battle taking 300 years. As if we lack the potential, the ahem, bottled up resources here do get the job done, better and quicker?! DA- So I say let’s do a sling shot effect. Let us get beyond the DPA for 2013 not accepting proposals for panels, but only for individual presentations. And no mention yet of a presentation by you and any other figures at Covington and Burling about the pro bono program. Nor any mention yet of a Coca panel, nor even the regular cocaine panel the DPF held before 1993 and the botched direction they went off on since. Never-mind the implications, as this situation – just looking at the Tobacco protectionism – has taken over 100 million deaths during the 1900s, and is predicted to cost an upwards of 1 billion deaths for this century. Covington and Burling needs to publicly explain the firm's pro bono relationship with drug policy reform organizations, given the potential conflict of interest and the disturbing dynamics of the DPF/DPA’s mismanagement. Make something useful out of all of the apparent tragedies of errors- by rendering them comedic and not truly tragic when one looks at how we may best spotlight the absurdity of the existing status quo with this asinine and absurd ‘war on drugs’. Perhaps even a follow-up foundation, to promote freedom of medicine and diet with responsibility. 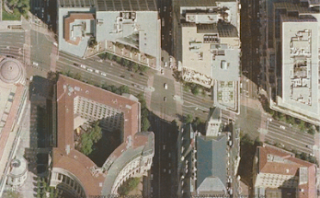 I mean, ‘let there be a purpose’ - just look at Covington & Burling’s Heurich building. 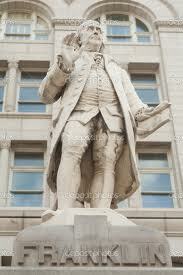 Then the following year – 1982 they move that Ben Franklin statue, erected back in 1889, to its current location at the south east corner of 12th and Pennsylvania, directly facing the Covington & Burling building, with Ben Franklin ‘gazing in amazement’. 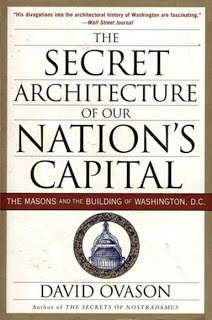 At this intersection described as the Masonic center of the universe, concerning Washington, D.C.’s “Most Profound Secret”, with the built 1979-1981 Covington & Burling Heurlich building, appearing for some highly esoteric purpose. Perhaps as a Benjamin Franklin Power Box. To guarantee the wisdom to choose the correct path, though longer yet essential and essentially quite worth the wait. Consider it as a stage. As people eventually remember, one has a better opportunity to understand why, one may better understand the time-line as some great mystical rite for the ultimate betterment of everyone. Indeed if we love our children and future generations end this cigarette protectionism. A world with all this tobacco, facing us from behind countless cashiers, and coca a ‘controlled substance’ 1961 U.N. Treaty definition, this is a world being wasted. Let’s end that, and make it, regarding the criminalized plants, Coca, Cannabis, Opium, Iboga, et al like that famous line in the 1962 Joan Collins – Bette Davis movie ‘Whatever Happened to BabyJane [Hudson]’ – “you mean all that time we could have been friends”, as the memories become unblocked. And strike a blow for human rights, affordability, and happiness. Use the Covington & Burling pro bono program to end the war on drugs!